Alizabethy - Card Making Addict! : Are Big Stamps On Trend??? 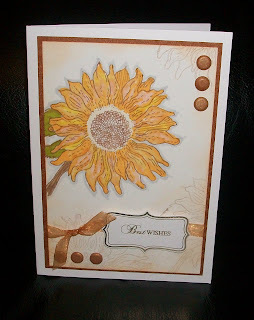 ....well according to this months Cardmaking & Papercraft mag they are! So I dug out this stamp of a sunflower that has been sitting unloved and unused at the bottom of my stamp drawer for several years! 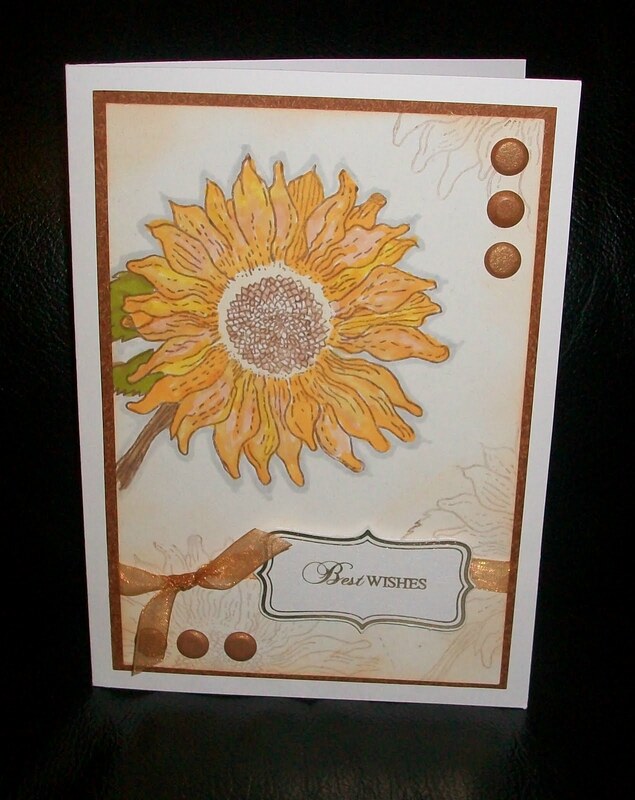 It was lightly stamped in brown as the background and then the central image coloured with promarkers with a bit of distressing around the edges. I quite like the effect and might try it again with a couple of other jumbo sized stamps I have. Beautiful card. That stamp is gorgeous! Its amazing what we forget we have tucked away!